On Sunday, myself and Louise were invited along to Odeon at Bh2 Leisure to see the new Peter Rabbit film and experience the service that puts Odeon ahead of their competitors when it comes to a visit to the cinema. Louise’s little boy hadn’t been to the cinema before, but Carly was quick to put him at ease, chatting away on the car journey. When we arrived at the cinema, we were greeted by a friendly member of staff who directed us to her manager so that we could collect our tickets for the film. We also chose from Odeon’s impressive range of snacks – I went with the nachos, which come with a choice of 3 dips. I chose salsa, and two of the bean chilli as I’ve had it before and love it. Louise’s son went for the sweet topped popcorn, which looked incredible. I am going to get some myself next time I head to the cinema. Louise had some salted popcorn and Carly wanted some chocolate, so she picked up Milkybar buttons, and we also got soft drinks for the kids. 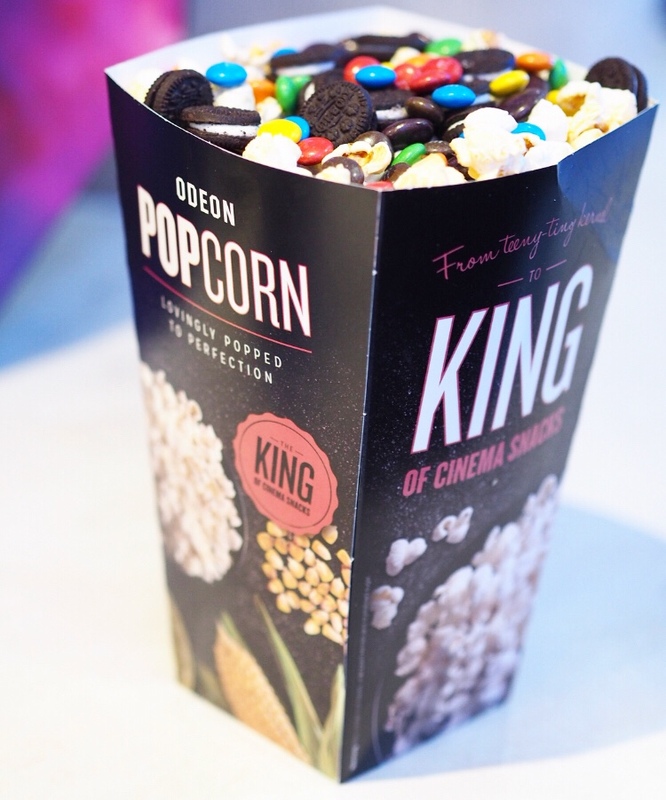 What I love about the Odeon in Bournemouth is that, if you fancy something a little different for your cinema snack, you can also pick up something from the on-site Costa, or head to the upstairs bar, which serves a range of alcoholic drinks as well as light bites including pizza. Loaded up with our treats, we were given rabbit ears for the children and headed to the cinema screen to take our seats. As well as standard seating, Odeon also offer premium and recliner seats, as well as the iSense screen, if you want a fully immersive cinema experience. The Peter Rabbit film was brilliant, it had the right amount of jokes for the adults, mixed in with lots of slapstick humour which the kids found hilarious. Carly was sat laughing away throughout the majority of the film, and when I asked her which bit she liked best, she proclaimed ‘all of it’ (though the electrocution scenes were the ones she laughed at the most). A trip to the cinema can be a bit hit and miss with young children, as their attention spans can result in fidgeting, but the film kept our two kids interested right up to the end credits (which, by the way, are worth staying in your seat for). If you are concerned how your little one will find it, Odeon offer a special creche screen, with a play area at the front in case they want to let off some steam during the film. After the film finished, we headed downstairs to the Country Garden, which is temporarily set up opposite the LlaoLlao kiosk. Head over before 15th April, take a photo with the fun props and upload it to social media with the hashtag #Bh2CountryGarden for the chance to win a prize from one of the brilliant restaurants in the Bh2 complex. We were invited along to the Odeon in Bournemouth by Bh2 Leisure for the purpose of this review, however all opinions and photos are my own. Ah this looks like such a lovely experience! Sounds like a fab time. Peter rabbit looks good, I’ll be checking it out soon too. I’m definitely an odeon girl myself!